With the holidays approaching, it’s a great time to have your home ready for guests at a moment’s notice. 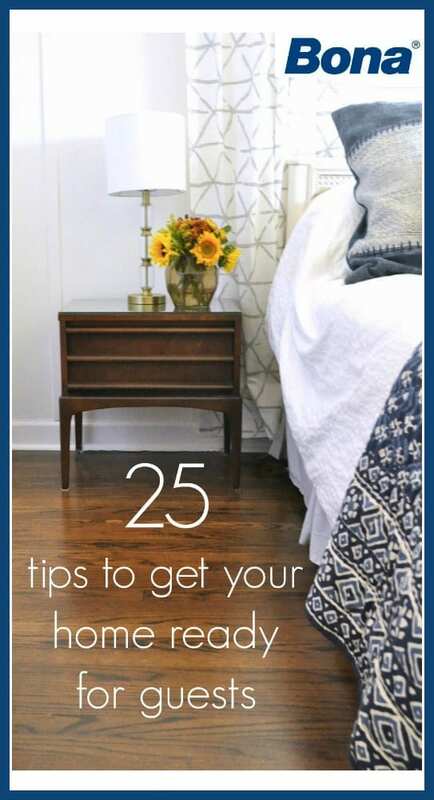 Today with 4 bloggers, in partnership with Bona, I’ll be sharing 5 tips to get your home guest ready. 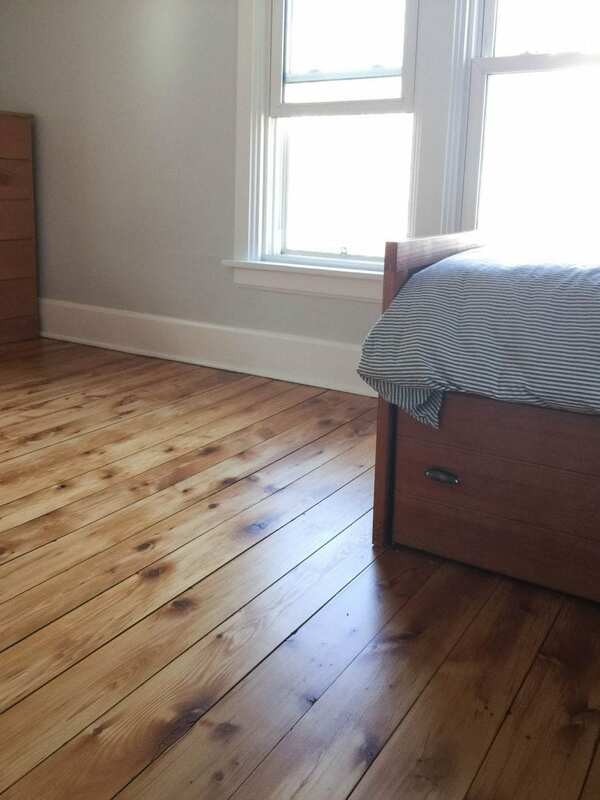 We recently finished our 107 year old pine floors, they look incredible but were starting get dull with everyday use. The Bona PowerPlus system was perfect for bringing back the luster without leaving a residue behind. Just look at that shine on our floors! Gather snacks, tasty drinks, and have enough on hand for a few go-to quick meals. This way you’ll be able to spend more time socializing and less time in the kitchen. I like having a clean house as much as the next person, but we don’t live in perfect homes. Try to keep from stressing yourself out. 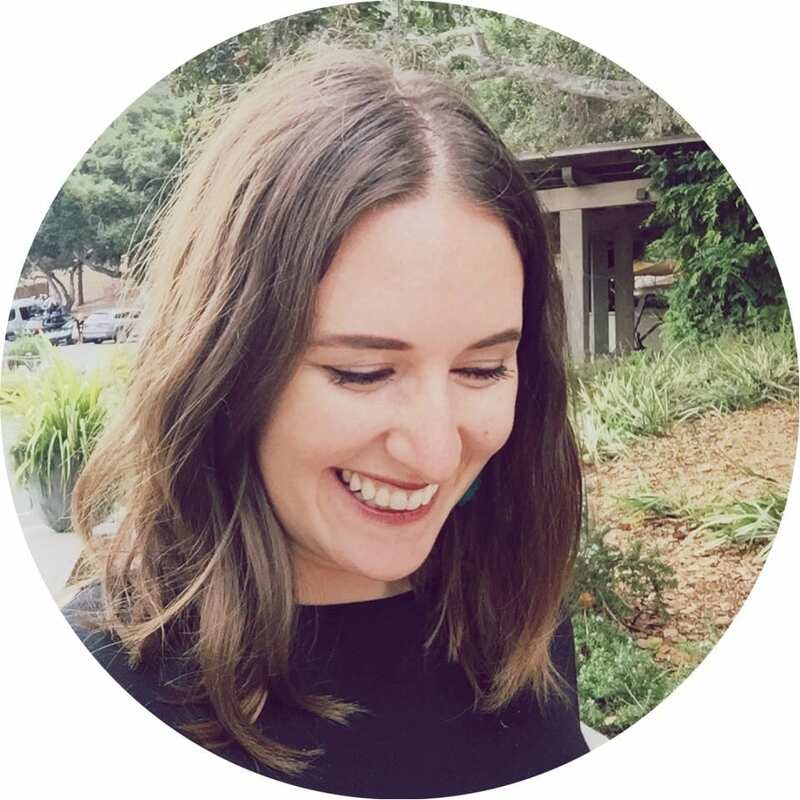 Your guests want to visit with you, not your house! Focus on making your home easy to relax in. Tackle big stuff, don’t sweat the small stuff. Add little comforts and touches across the home, especially for at night when we’re relaxing and enjoying one another’s company. Have board games nearby, refresh old favorite card games with a new deck. Provide plenty of throw blankets and cozy pillows. Turn the lights down and add a candle or two. Be ready to explore the neighborhood. A big reason we chose this fixer upper is the close walk to a vibrant downtown area. Before you host (and if your guest likes exploring too), take a look at what’s happening in or nearby your city. Get outside after dinner, show them around, let them see why you love living where you live. Most times we’ve had friends over, we’ve walked downtown to the park, library, a festival, concert, ice cream parlor, or a local coffee shop. If they like sports, look up their favorite team and head to a local sports bar. If they’d rather stay in, order out from a favorite local spot. 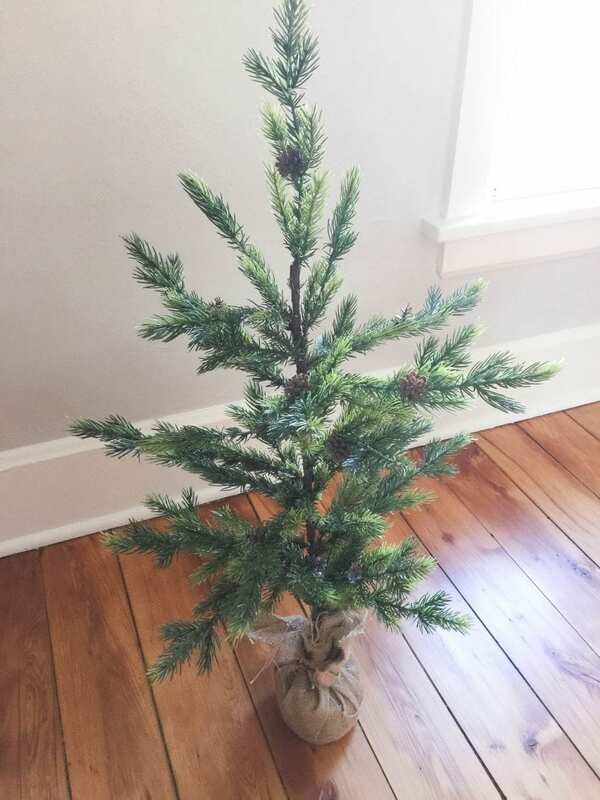 We recently had our 107 year old pine floors finished, they had been hiding under layers of carpet, tile, paint, or left bare over the years. The rest of our home is still under construction, but the floors look great. The folks at Bona were happy to look up the specific product we used to make sure their product was safe for my new flooring. 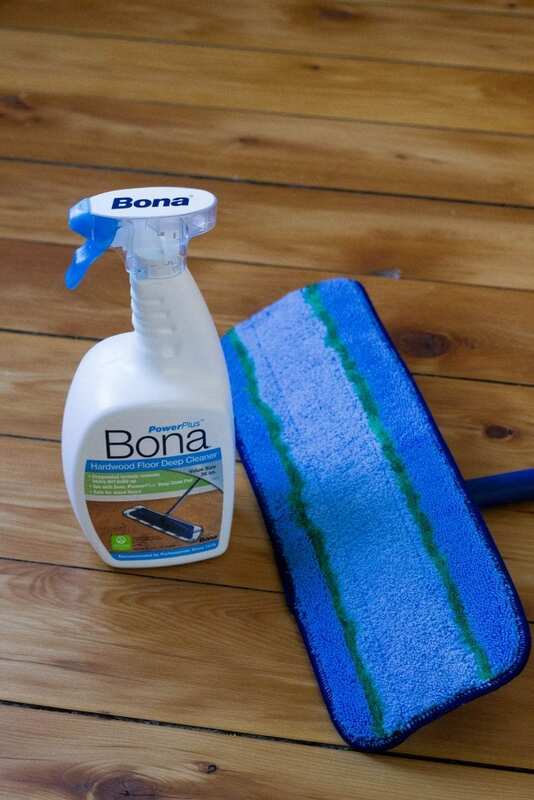 The Bona PowerPlus system is easy to use for a quick spray and swipe over my floors. In minutes, I was done and left with a shiny, refreshed floor. The product is safe for kids, green, and leaves no residue behind. 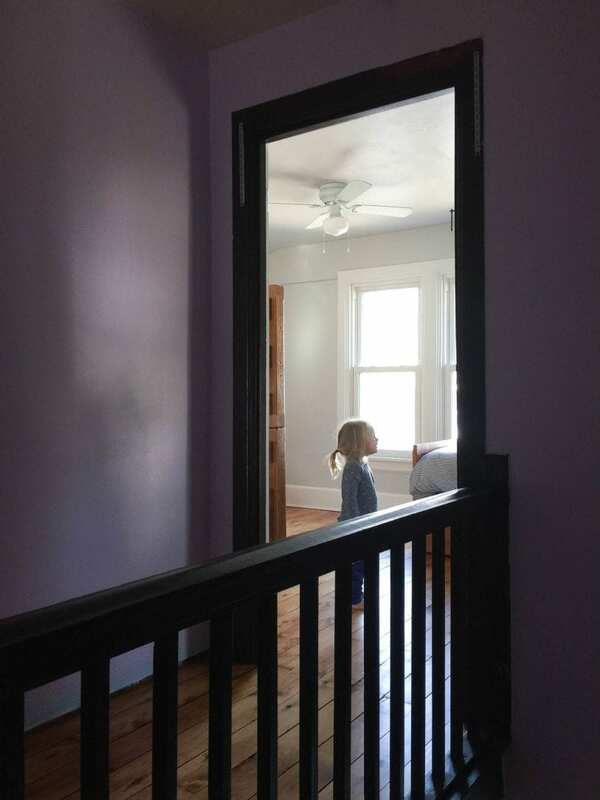 I was surprised at the results – we JUST had our floors done and this made them look so much better! Let your holidays sparkle this year with beautiful hardwood floors! Spend more time with family and less time cleaning with Bona PowerPlus, Bona’s most powerful cleaning system innovated specifically for hardwood floors. Safe for hardwood floors this GREENGUARD certified, ready-to-use, residue-free formulation provides deep clean results that are fast, beautiful and easy. Make sure you visit these other bloggers who are also sharing how they get their beautiful homes guest ready for the holidays! 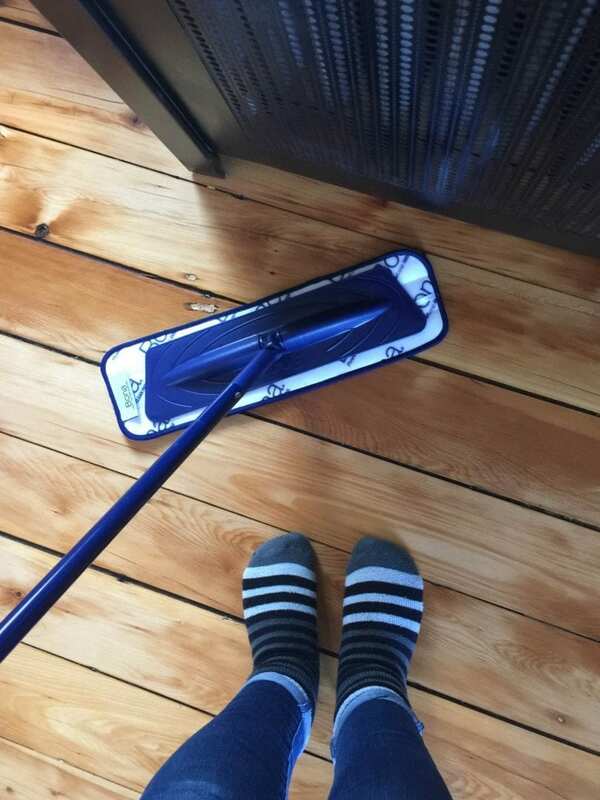 Our floors could use some TLC and I’ve always wanted to try Bona. We have family from Germany staying for a week at Christmas in our house that has no guest room. We might go crazy, but pretty floors always put me in a good mood. So I might have to check Bona out!